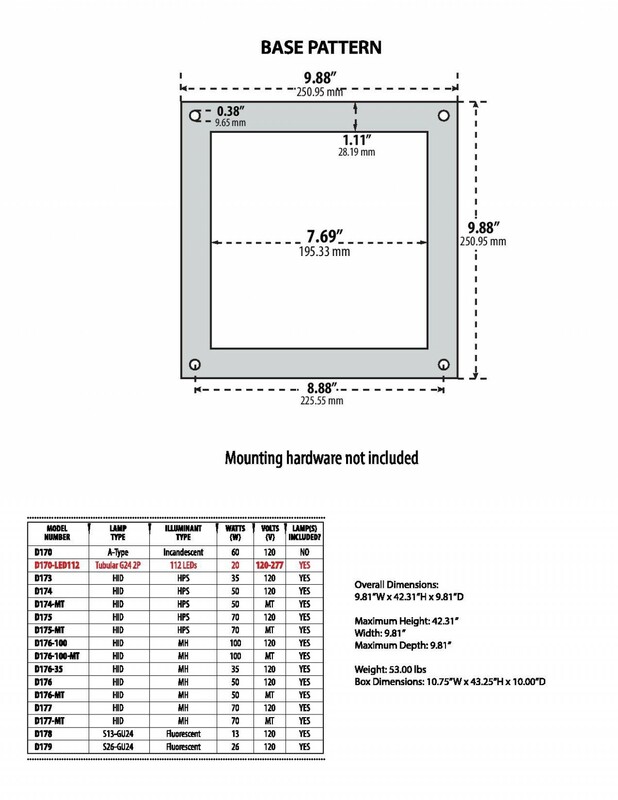 * Ships in 48 to 72 hoursHeavy Duty Square Steel Bollard. Solid steel, super sturdy, each bollard weighs 70 pounds. Further discounts available for orders of 15 or greater. Call office at 1-888-999-9041. 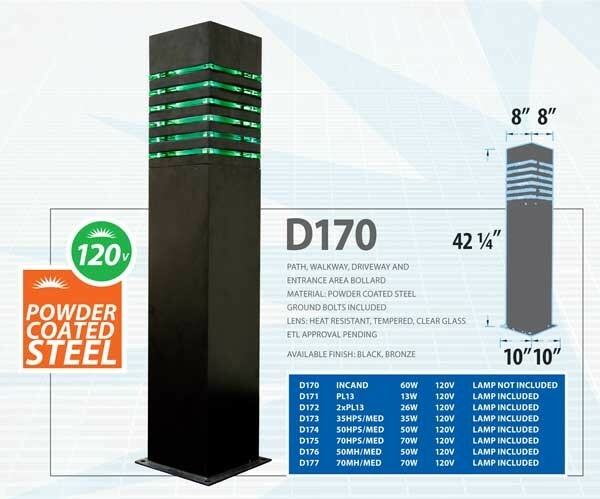 Square D-170 steel bollard lights are powder coated to endure the outdoors and it's elements. 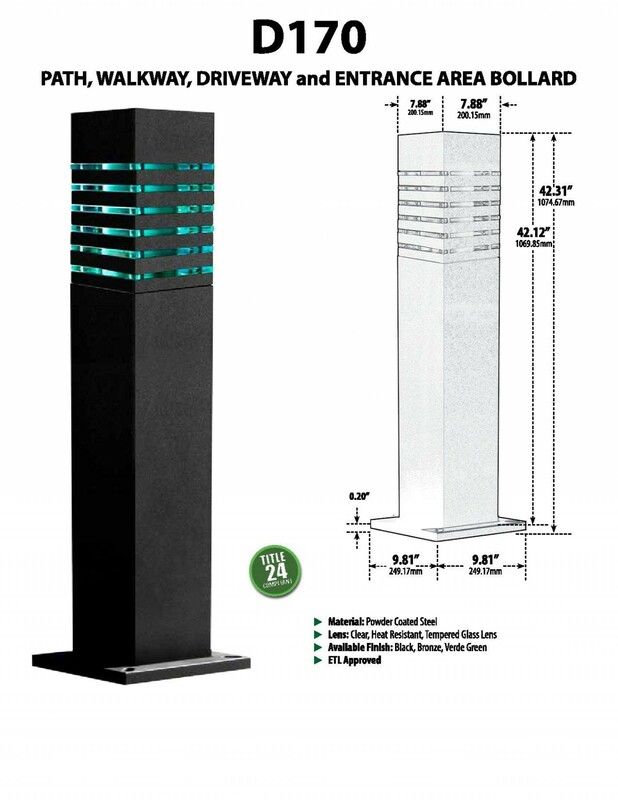 These bollard lights are super sturdy and weigh nearly 80 lbs. each. Made with heat resistant tempered glass. 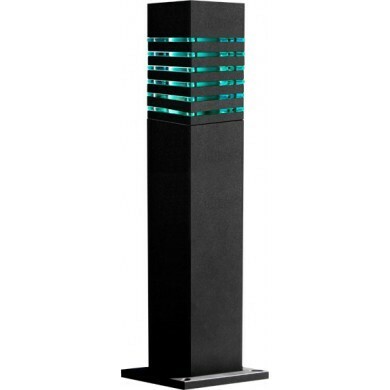 Great for security on roadways, driveways, sidewalks, walkways, and courtyards. For commercial and residential application. Now available in led to conserve energy and maintenance; saving the property owners cash every month, thus increasing the bottom line. Available in black or bronze color. 120 Volt multi-tap. Ballast available for various voltages.